Are you thinking of buying a rental investment home? Do you have a home that you are thinking about renting out because can't or dont want to sell at todays prices? There are huge tax advantages that are available for landlords! The tax benefits of owning real estate are many. Did you know that you can offset your rental income by claiming the depreciation of your rental property, and the mechanical systems and appliances it contains, as they age? This deduction is not taken all at once, but figured over time. The IRS extends the benefit of depreciation to owners of rental property. Through this tax benefit, the government is actually giving an incentive to own real estate! The depreciation factor for a single family residential property is 27.5 years, meaning you can take depreciation on the dwelling (not the land) spread out over 27.5 years. You buy a house for $100,000. The dwelling value is $80,000 and the land is $20,000. You cannot depreciate the land. Calculate depreciation on the dwelling by dividing its value by 27.5. In this example, the depreciation allowance is $2,909 per year. If you rent the property for $800 per month and your mortgage is $600 per month, you have a positive monthly cash flow of $200 or income of $2,400 per year. Your income is now offset by the depreciation expense ($2,400 – $2,909 = -$509). In this example, for tax purposes, you lost $509 on this property. This is a “paper loss” only, as you actually made $2,400. So you receive monthly cash flow, you depreciate the property for tax write offs, and if you purchased correctly, you receive the added benefit of “appreciation” as the property value increases over time! I love real estate. You can further maximize the depreciation by doing what is known as “componentizing,” commonly known in accounting circles as “segregated” depreciation. This allows you to break out certain components of the property and depreciate them separately. For example, carpet, appliances, HVAC, and roof may be broken out and componentized as personal property which can be depreciated even faster over only five years. Check with your CPA to see how you can implement componentization into your business structure. Landlording is a time-consuming, expensive, extremely detailed, highly regulated venture and you earn all the tax benefits you’re allowed. Know what the law allows you to claim and claim them. There are so many benefits, but you must educate yourself to know what they are. For complete information on tax deductions for landlords, visit IRS Publication 527 at IRS.gov and be sure to check with your CPA to find out all the tax advantages available to you. 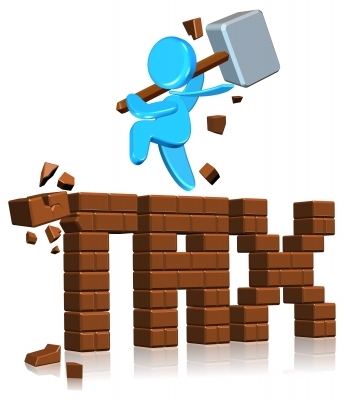 What can you add to the conversation about tax benefits of depreciation? Hi Bob, we are investing and heading to Orlando for a netowrking conference the end of this month. Thanks for passing this on!